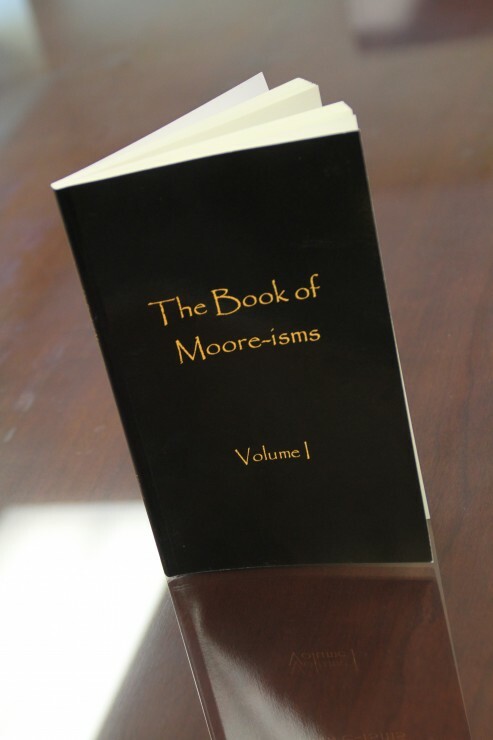 The story of Dan T. Moore Company begins, of course, with the man himself. Dan T. Moore III, born and raised a Clevelander, planted his business and entrepreneurial roots in his hometown. From this solid groundwork, growth has not only been inevitable, but intentionally sought after. Seven different locations currently wear the Dan T. Moore Company stamp with pride. Throughout the upcoming months, we will explore the establishment and development of these locations in this blog series, The World Tour of Dan T. Moore Company. The first stop on our excursion is CiiC, the Cleveland Industrial Innovation Center. Happenings here at CiiC are constantly lively and bustling, with its 10 different onsite companies doing a multitude of things, and the facility’s past is really no different. 17000 St. Clair Avenue began, what would be its great journey, in the aircraft industry, when Glenn L. Martin brought his company to Cleveland, Ohio in 1917. Martin Aircraft Companies constructed the originally 61,000 square foot plant and an adjoining flight test field, supplying aircraft to the army during WWI. 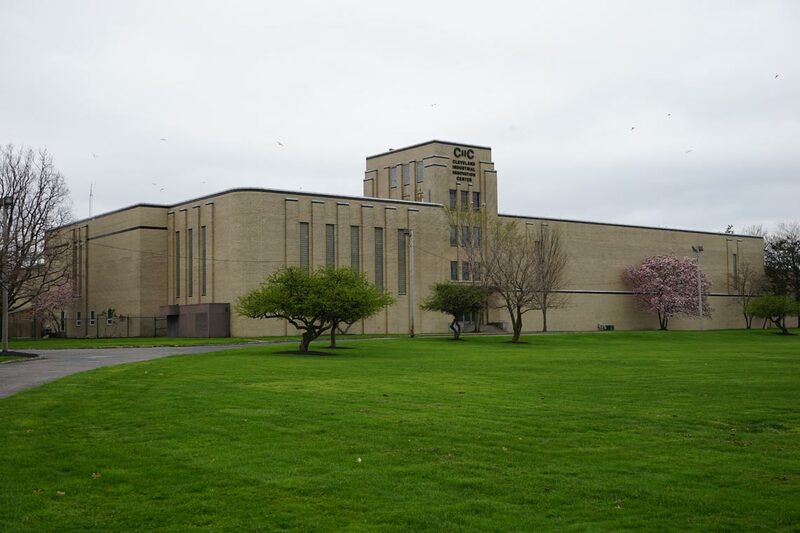 The facility was then passed to Great Lakes Aircraft Company until the stock market crash ended aviation at the site. Plant production made a slight detour in 1945, when Cleveland Graphite Bronze purchased the property to manufacture bearings for the automotive industry. It returned to the aircraft business, however, when WWII increased the necessity for aircraft bearings. With business booming, CGB built a large new plant, and made an addition at 17000 St. Clair. 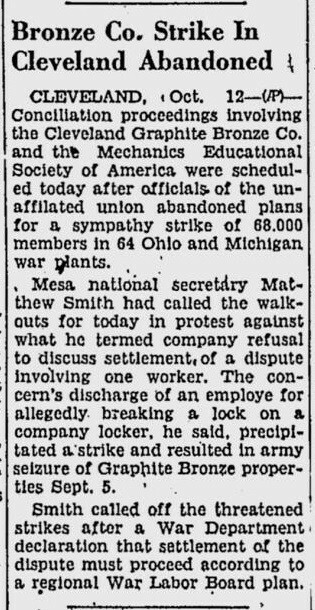 This intense development lead to an exhausted workforce, employee strikes, and eventually a plant seizure by the army. After a complicated series of company name changes and property owners, the complex remained mostly vacant from 1987 until it landed in Dan’s hands, where its buzzing activity has again reignited. The building did not become CiiC, pronounced “kick” to its plethora of employees, until Dan T. Moore decided to purchase it. Dan immediately saw the job potential in the 758,000 square feet of manufacturing, office, and warehouse space. In the words of CFO, Nancy Keene, “This was the ultimate recycling project—and space for all future ventures that were still just twinkles in Dan’s eyes.” His true hope was to bring manufacturing jobs back to the Cleveland area. 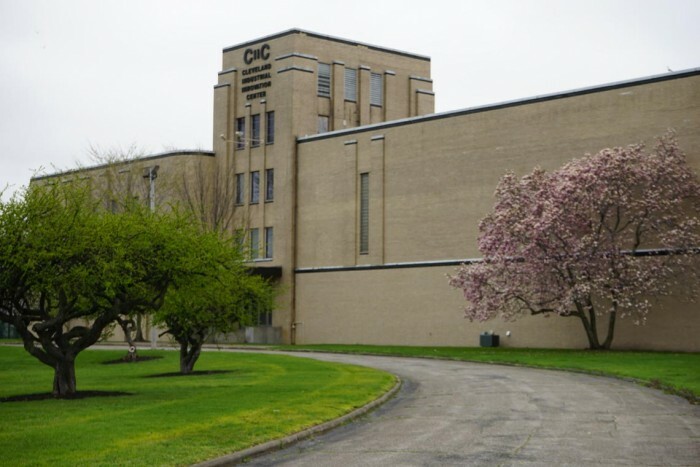 So began the investment and renovation of the Cleveland Industrial Innovation Center. 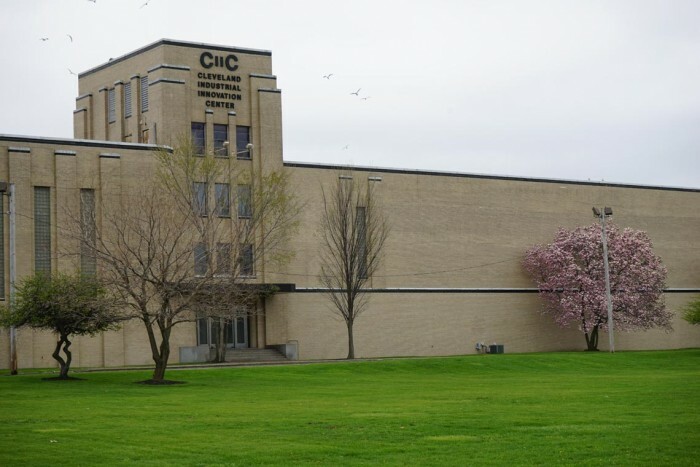 CiiC could not have developed into the successful 1,000, 000 square feet of industrial space on the east side of Cleveland that it is today without its Director of Facilities, Joe Laumer. The real story lies in the just-so-happened circumstances that lead to Dan and Joe’s meeting. Joe started as a consultant, but quickly became General Manager, then Director of Facilities. Now he doubles as the president of affiliate company NatGasCar as well. The sign outside his office titles him “Director of Mayhem.” When asked his favorite thing about working as such, Joe stated, “The absolute variety.” With 10 companies functioning behind CiiC’s doors, almost anything can happen on a daily basis. Due to the affiliate nature of these companies, Joe becomes intimately involved in their processes. Each and every one is connected somehow, and somehow Joe facilitates their connection. He even connects the sections of the CiiC complex together, giving them creative place names. The Cleveland Industrial Innovation Center doesn’t just have office space; it has the Sandbox. It doesn’t just have a gym; it has the Sweatshop. Our maintenance crewmen are members of the Fixology Department. Joe is even behind the naming of the Fab Lab. 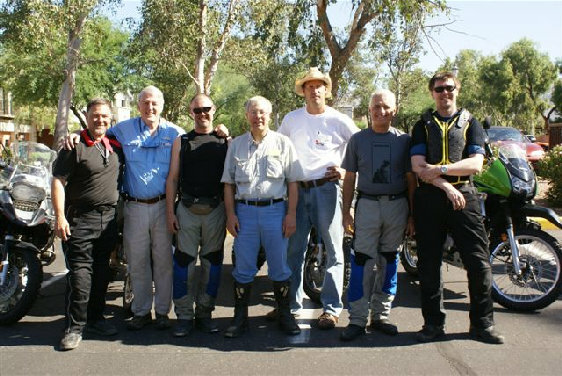 Joe gave Dan the creative nickname “The Professor,” while on their first Silk Road adventure together. “Dan,” he said, “was always curious.” He carried around a little Economist book with facts about every country they visited. He was genuinely interested in what every person they spoke to during the adventure had to say. One of Joe’s favorite memories with Dan happened on this trip as well. The tour group was leaving the country of Georgia and crossing the border into Azerbaijan. It was only the second border crossing of the trip, and the tour company had sent handlers, so all of the members of the group could cross together, except—Dan wasn’t there. The tour guide received a call from The Professor, who managed to find himself at another crossing about 50 miles away. At the time, Garmin had a slogan, “Get a Garmin, or get lost.” Joe decided Dan’s new slogan was “Get a Garmin, and get lost anyway.” You can find this story in “The Book of Moore-isms,” a collection of quotes said by Dan and stories related to him. Joe had the first volume printed, and presented a copy to him for his 75th birthday. Not only is this little book indicative of Dan and Joe’s friendship, but it is indicative of the innovation and exciting activity always happening at the Cleveland Industrial Innovation Center.